8 miles on the schedule today....done! My run was a struggle today. Maybe the temps? 60? I doubt it? Maybe the early time? Not likely. Oh well, it's done. I wanted to send out a reminder to e-mail me your race report for your virtual race with your time and distance completed if you signed up for the "I just felt like Running" 2nd annual virtual run. As you know, I promised a couple prizes so everyone that entered will have a chance at winning two items. The first is a 1BandID. Don't know what it is? Read my review HERE. This is an awesome product that could save your life and I always run with mine on my Garmin. The second item is a Headsweats SuperDuty Race Cap. 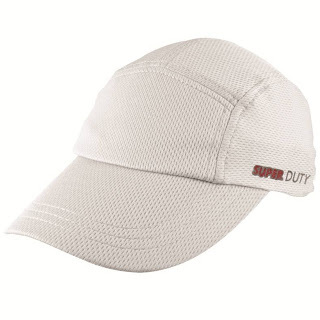 Tell me who could not use a cool new race cap for training this season? Headsweats makes the best hats. I love mine! Good luck everyone and remember, I need to have your results for you to be entered in the drawing. You have until Saturday to e-mail me your results. I hope you had a great time running! So many of you had half marathons this year. Thanks again to the sponsors, 1BandID and Headsweats for providing your awesome products for the virtual run! Posted a new photo on Detroit Runner Photography too - click HERE to see it. Leave me your comments on that blog. I need help in this area. Er. 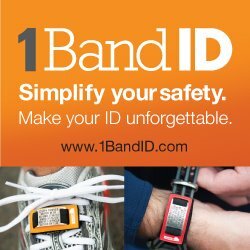 I've been looking at getting an ID band, those are pretty great. I like that hat. I often forget to put on sunscreen, so maybe what I need is a hat like that. Thanks for hosting the race; I am sending you my time right now!